Without further ado, let’s get on to talking about March club. 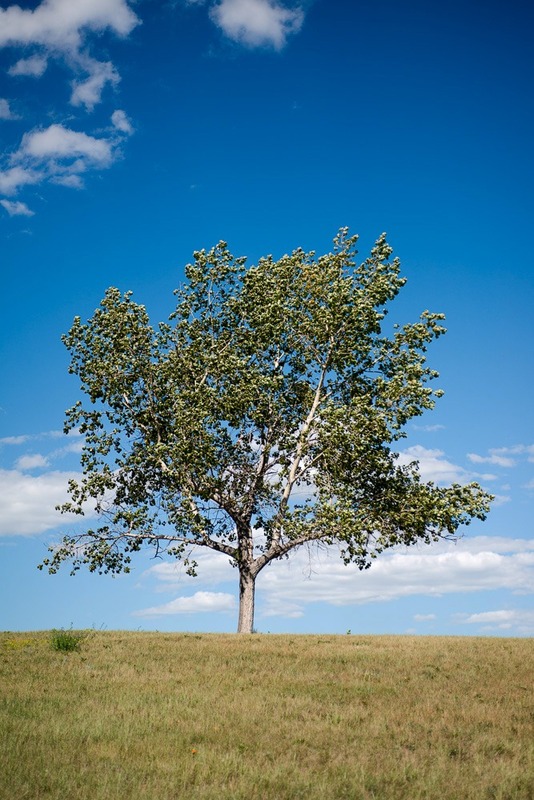 The inspiration for this month was this single, solitary tree. I took this photograph 2 or 3 years ago when we stopped at a rest stop on one of our road trips. This tree was on it’s own, at the top of a hill and just looked so pretty against the blue sky. When I look at this photograph, I’m taken back to that moment. It was a little windy and we were trying to feed the kids lunch and it was chaos… but this tree was just so peaceful. I decided that a gradient that reflected the clouds, tree and sky would be my focus this month. This is actually my yet to be spun club. 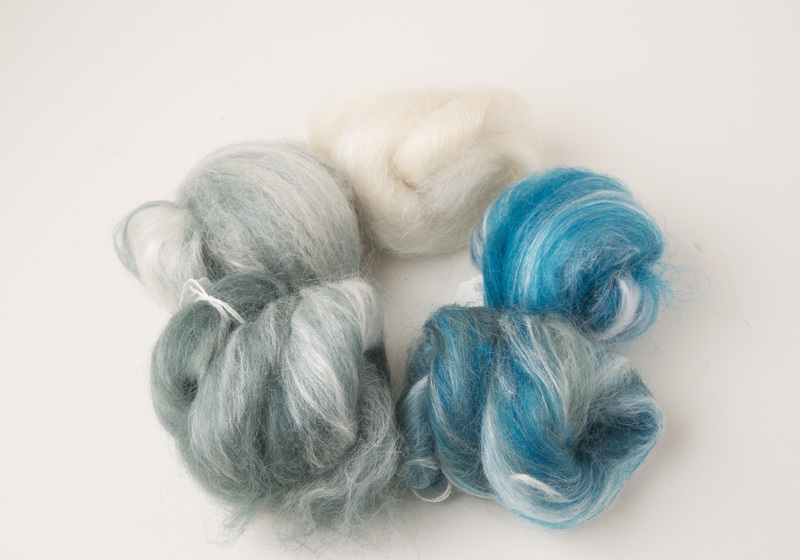 This month, I opted to have a look at the luxury blend, which was silk blended with Teeswater. I’m really looking forward to spinning it. Rachel had our basic club to spin, which was 100% Teeswater and the following words are all hers, as she talks about spinning club this month. 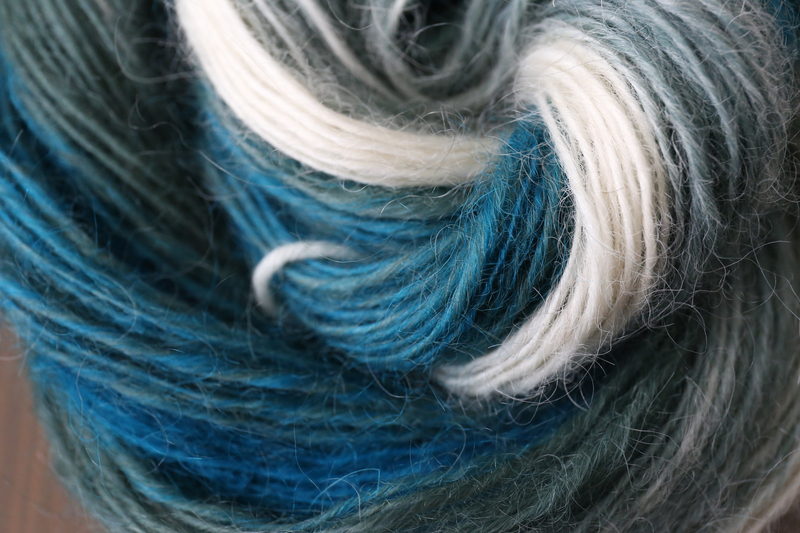 I am so excited to be sitting here, writing this post to you because Teeswater is one of my most favourite wools to spin, along with all the other long wools. I just plain love ‘em! I started to really love them when I played around with some various drafting techniques and worked my way through from worsted to woollen drafts. I couldn’t get over how different all the yarns were and the effects that the original fibre played in that finished yarn. This month, I decided to spin the Teeswater as a singles. When Katrina gave me the bundle of fibre, marked with which nest to spin next, my immediate reaction was “I’m going to spin singles.” More and more, I’ve learned that I need to trust my gut and follow through on what my intuition is saying when it comes to decisions in general. So? I did just that! I spun singles. I spun them relatively quickly, over the course of a few evenings, spinning a few nests at a time on my Lendrum DT. I keep that wheel next to my bed and spin projects in the evenings that don’t need to be finished quickly or on a timeline. I just work on them when I can but I knew this particular project would be finished quickly so I chose to just spin up there in the evenings. I loved every moment and the yarn speaks for itself, I think. 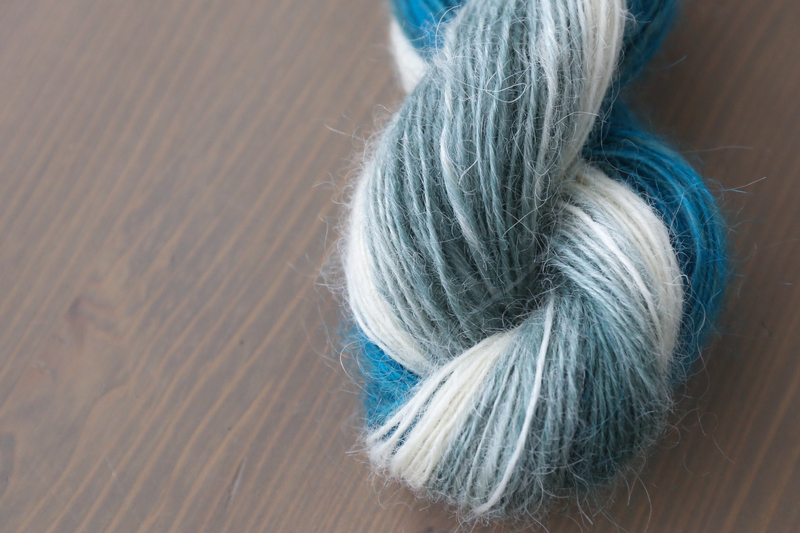 It is a lovely gentle gradient from white, natural wool to dark teal, which heathers in the colour transitions. I have some ideas for this yarn to showcase it but I haven’t cast on just yet due to book projects I am trying to finish up at the moment. If you are struggling to spin Teeswater, due to the length of the staple, a carded prep is a nice place to start because the fibres become jumbled up together and almost ‘stick’ together slightly. This also contributes to the lovely halo that is created in the finished yarn as those tips stick out slightly. 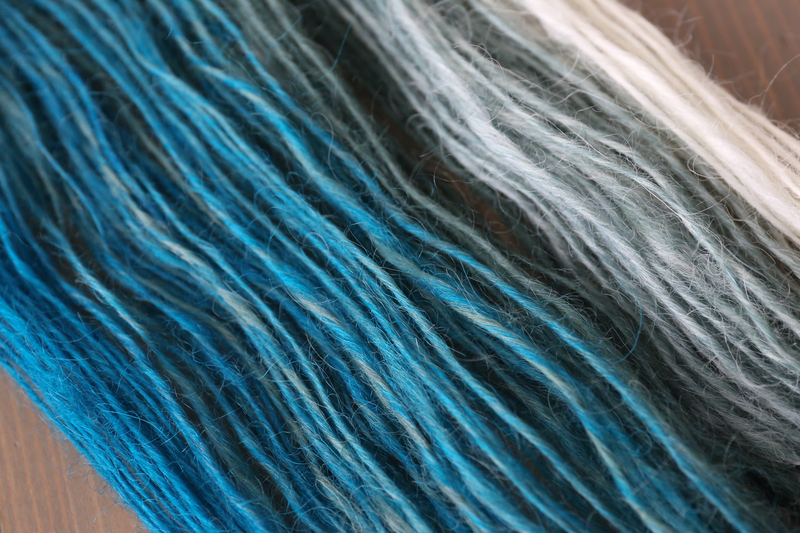 One tip I would give you in spinning is to move your hands apart slightly more than you normally would, which allows the fibres to slide past one another more easily. Remember, the long staple? If you’re holding onto both ends, the fibres aren’t able to slide past and draft. Move your hands apart and loosen your grip, decrease the uptake ever so slightly so the fibre isn’t being ripped from your hands and you’ll have a lovely spinning experience! I really do hope that soon, you’ll be hearing from both Rachel and I about club every month, but in the meantime, I’m loving seeing what Rachel is doing and hearing her thoughts about it. I would love to see what you do with club! Please feel free to share it over on this thread in the Wool N Spinning Ravelry Group or tag me on Instagram with the hashtags #craftyjaksboutique or #craftyjaksclub If you haven’t signed up for club and you’d like to, please follow this link to my Etsy shop. If you’d like to receive May club, be sure to sign up before April 20th!